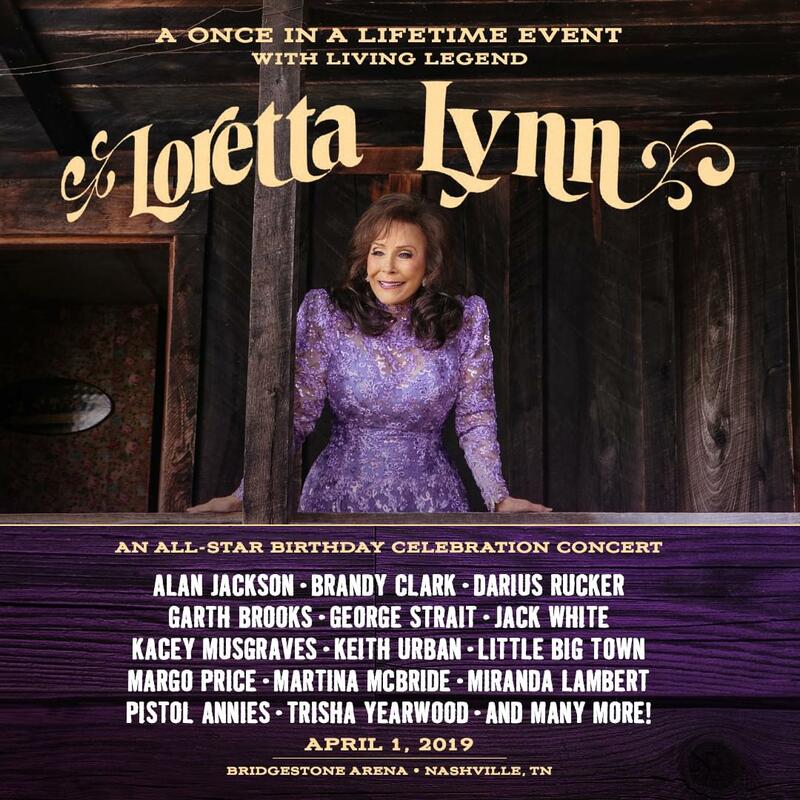 Country music star Loretta Lynn will celebrate her 87th birthday with an all-star tribute concert this April. The show, set to take place on April 1 at Nashville, Tennessee’s Bridgestone Arena, will include performances from artists like Jack White, Garth Brooks, and George Strait. Additionally, Alan Jackson, Trisha Yearwood, Little Big Town, Martina McBride, Miranda Lambert, Keith Urban, Kacey Musgraves, Brandy Clark, Darius Rucker, and the Pistol Annies will take the stage. While Lynn said she isn’t planning any duets for the concert, she hopes to eventually perform again soon. Although she released the record Wouldn’t It Be Great in 2018, she hasn’t performed since she had a stroke in 2017. She also suffered a variety of health problems, including a fractured hip, and was unable to attend the CMT Artists of the Year show last October. “Feels like I have been gone a hundred years,” she told The Associated Press. The Country Music Hall of Famer earned a Grammy nomination this year for Best Country Solo Performance of her track “Wouldn’t It Be Great.” Known for hit songs like 1967’s “Don’t Come Home A Drinkin’ (With Lovin’ On Your Mind),” 1966’s “You Ain’t Woman Enough,” and 1971’s “Coal Miner’s Daughter,” Lynn has a vast catalog of music, and plans to continue writing. More artists are expected to be announced for Lynn’s upcoming birthday concert in the coming weeks. Check out the show poster below.